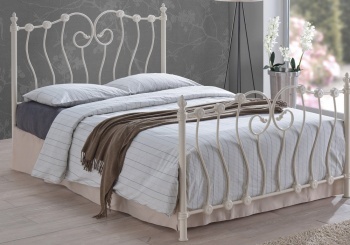 Add a romantic feminine look to your bedroom with this Victorian inspired bed frame. A true classic that will last you for many years to come. Durable enamel gloss finish in a warm ivory tone. 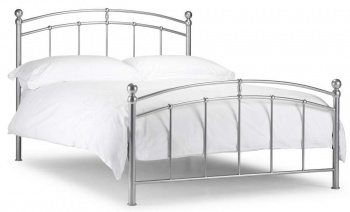 With its sprung slatted base you are sure to get a great nights sleep. The under bed clearance/storage space is 26 cm. 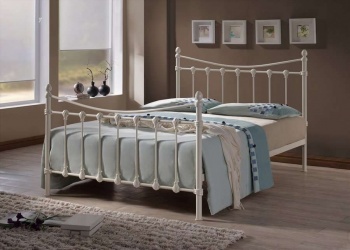 The overall dimensions of the Hoxton king-size bed frame are: H122 L210 W156.5 cm. Floor to mattress base: 30 cm. 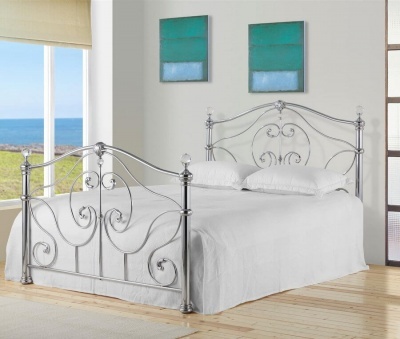 Footboard height: 96.5 cm.